Science? Check. Chemistry? Check. 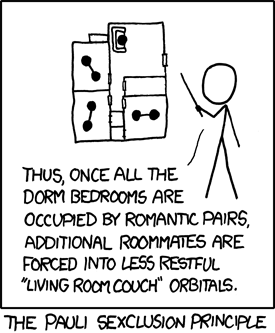 Orbitals joke? Check. (Really?) Pun? Check.